A Fragile System Ronald Stoeferle, managing partner and investment manager at Incrementum AG, and probably best known to our readers as co-author of the “In Gold We Trust” report, the most widely read gold report in the world Photo credit: Elke Mayr / WB Claudio Grass, Global Gold: Ronald, it is a pleasure to have the opportunity to speak with you. We’ve known each other for a very long time, both on a personal and professional level. Because of our central banks, we find our economies today operating on artificial stimulus and negative interest rates. How would you summarize the consequences of this policy? Mr. Stoeferle: I have always considered it impossible to create a “self-sustaining” economic expansion by means of the printing press. By so doing, central bankers only succeeded in suppressing symptoms, but the underlying structural problems that created the 2008 financial crisis in the first place, have only gotten worse. The primary goal, namely to stimulate the economy, has not been achieved. Low interest rates have provided artificial life support for unproductive and highly indebted companies, as well as for states. According to Standard & Poor’s, budget deficits in the euro area would on average be 1-2% of GDP higher, if the average level of interest rates between 2001 – 2008 were applicable today. M. G. writes What Were They Thinking? Claudio Grass, Global Gold: Ronald, it is a pleasure to have the opportunity to speak with you. We’ve known each other for a very long time, both on a personal and professional level. Because of our central banks, we find our economies today operating on artificial stimulus and negative interest rates. How would you summarize the consequences of this policy? Mr. Stoeferle: I have always considered it impossible to create a “self-sustaining” economic expansion by means of the printing press. By so doing, central bankers only succeeded in suppressing symptoms, but the underlying structural problems that created the 2008 financial crisis in the first place, have only gotten worse. The primary goal, namely to stimulate the economy, has not been achieved. Low interest rates have provided artificial life support for unproductive and highly indebted companies, as well as for states. According to Standard & Poor’s, budget deficits in the euro area would on average be 1-2% of GDP higher, if the average level of interest rates between 2001 – 2008 were applicable today. Under normal market conditions, stock prices rise as a result of a fundamental strength in the economy, but in today’s reality, the rally in asset prices has only deceived market participants about the fundamental weakness of the economy. The alarming fact is that asset prices will likely collapse if central banks cut the artificial support. High asset prices have become vital to maintaining confidence in the economy, while the majority of stock and real estate investments have been financed by cheap credit. Thus, abandoning the low interest rate policy would likely trigger a severe recession. On the other hand, continuing this policy would distort and corrode the economic structure even more, which would jeopardize the business model of pension funds, insurers and banks, and further inflate the real estate and stock market bubbles. The low interest rate policy has rendered the system profoundly fragile, with central banks virtually in a lose-lose situation. 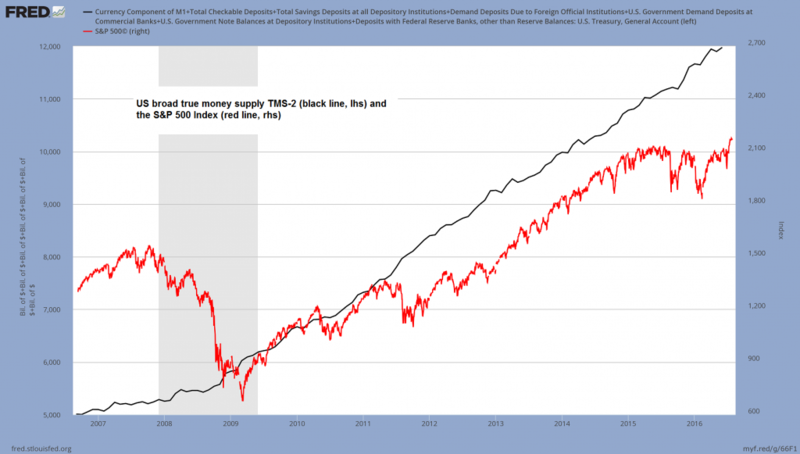 US broad true money supply TMS-2 and the S&P 500 Index. It is actually not a coincidence that money supply growth and surging asset prices are going hand in hand – in this case, correlation does actually imply causation. One of the world’s best performing equity markets (in local currency) in recent years was the Venezuelan stock market, which has soared even as the economy (and indeed the entire country) has crumbled to dust. During times of rapid monetary inflation, rising stock prices are not a reflection of the health of the economy – click to enlarge. Claudio Grass: Do you believe central banks still have other options they could resort to or will this be the end of the road for them? Mr. Stoeferle: Central banks still have several options for further monetary easing. For instance, they could cut rates deeper into negative territory. However, to create an environment in which banks could pass on negative rates to their customers’ savings accounts, cash would have to be abolished first, in order to avoid bank runs. We are already seeing signs of such intentions. But I cannot imagine these brutal measures being implemented, without stirring up even more unrest, in times when anti-establishment sentiment is already spreading. Moreover, negative interest rates have already been introduced in five currency areas with hardly any positive impacts on growth and inflation. “Helicopter money” would be a more likely recourse, e.g. cash transfer payments to governments or private households, QE combined with fiscal expansion, or the cancellation of outstanding debt securities, which central banks hold as assets on their balance sheets. 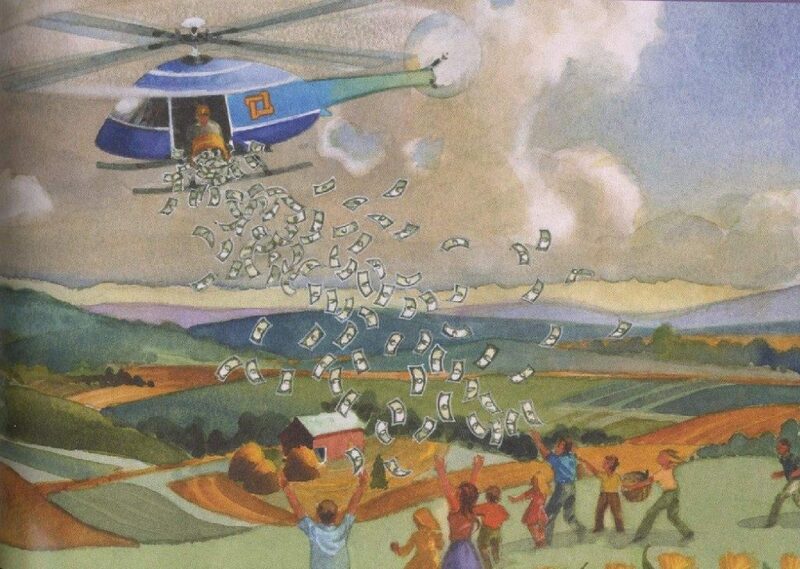 Some leading economists argue that helicopter money would be legally feasible and within the mandate of the central banks. It’s very likely that inflation would be triggered in this scenario, but the growth impetus depends on how the money is spent. The easiest measure to implement would be “Forward Guidance”, which is a communication policy that affects the market participants’ expectations. Theoretically, they could also do open market operations involving gold purchases, which would be a kind of deliberate devaluation of the USD versus gold. What is certain is this: Once the feared recession kicks off, the adoption of further monetary and fiscal policy measures is as sure as night follows day. Claudio Grass: Monetary policy is one of the tools of financial repression, or measures the state resorts to when it simply can’t afford its own expenses. What other tools are there and what can investors do to protect their wealth? Mr. Stoeferle: Artificially low interest rates and inflation are forms of financial repression, as they favour debtors to the detriment of savers. In the extreme scenario of negative interest rates where cash is abolished, we can expect negative nominal interest rates on peoples’ savings accounts. The list of potential tools of financial repression is very long and inter alia includes a prohibition of the possession of gold. In the current environment of pronounced indebtedness, the survival of the system can only be achieved through a combination of economic growth and financial repression. Hence, it’s crucial for savers to be aware of traps in large parts of the bond market, i.e. putatively risk-free government bonds, and to investigate investment options that are resistant to the grabbing hand of the state. Even though the possession of gold could also be restricted, gold is still a safe vehicle if it is owned physically. Although sceptics consider it a strange investment, as it doesn’t pay any interest, gold has instead now become relatively attractive, as it doesn’t cost any interest. If consumer price inflation is the gateway of financial repression, then of course the whole spectrum of inflation-sensitive assets, like silver, mining stocks, energy titles etc., should be considered. Generally, investments should be diversified – also geographically! – and resilient to different scenarios. 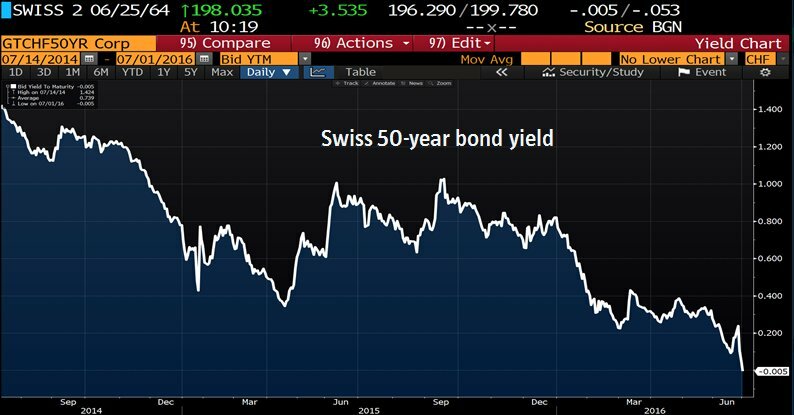 In Switzerland even 50 year bond yields went recently negative. It has been pointed out to us that this bond currently trades at CHF196 (per CHF100 in face value). Due to the convexity effect, a mere increase in its yield to 1% – last seen in September 2015 – would imply a 30% capital loss. A rise to 2% would result in a 50% capital loss. It should be easy to see how extremely dangerous the global bond bubble is to the complacent calm in financial markets – click to enlarge. Claudio Grass: Now to the question on many of our readers’ minds: Are we on the verge of a recession? Mr. Stoeferle: The 2008 financial crisis was the result of an unsustainable boom driven by loose monetary policy; the credit-based house of cards was about to collapse. To prevent the catastrophe, central banks increased the dosage of loose money by implementing ZIRP and QE and so forth – it’s as if they were trying to put out a fire with gas. As I pointed out before, asset prices are artificially boosted and a withdrawal of that artificial support might cause a market crash, which in turn would very likely trigger a recession. What could also cause a slump in asset prices is a loss of confidence. The narrative that holds everything together at the moment, is that (Neo-)Keynesian policies are suited to nurse the economy back to health. The US economy, where unconventional monetary measures were implemented in the first place and which has since then regained a certain level of strength, plays an important symbolic role in the post-Lehman era. Now the Fed is pioneering a monetary normalization – but to me it seems very unlikely that the US economy can bear this. After the July meeting, the FOMC statement went on about the “improving economic outlook”; terms like “strength” and “strong” were used to describe various components of economic activity. And yet, the Fed once again refrained from hiking rates, even though a small hike would at most have a symbolic effect. As Mish points out, rate hike odds in the Fed Funds futures market actually went down. In other words, the markets no longer really believe the Fed’s narrative – at least for the moment – click to enlarge. Claudio Grass: Years ago, our governments decided to abandon gold in favour of our fiat money system, thinking this would save their currencies, particularly the dollar. Recently, Greenspan mentioned in a Bloomberg interview that the economy performed successfully under the gold standard and surprisingly suggested we return to it. What do you think about this? Mr. Stoeferle: The “Maestro” was already a fan of gold in his early years. His essay “Gold and Economic Freedom” from 1966 is among the best publications ever written on gold. Back then, he criticized the money creation schemes of the fractional reserve banking system, pointing out that under a gold standard, the amount of credit in an economy would be restricted by its tangible assets. The end of the gold standard paved the way for an unlimited expansion of credit, which has now reached its limits. I believe we are in a historic situation where a realignment of the monetary system is going to take place. I don’t see any other way for the credit system to survive. 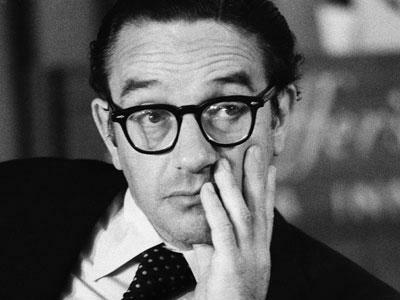 Alan Greenspan back when he was a gold bug for the first time. After a longish stint as the nation’s chief money printer, he has come full circle and is once again advocating a return to the gold standard. Claudio Grass: Just a few weeks ago, the British surprised us with their vote to Brexit. Markets plummeted and the value of the British Pound slumped vis-à-vis the dollar to a 30-year low, noting that the Pound was heavily overvalued. Meanwhile, demand for gold went up. Did you expect this outcome would have such an impact on markets? What developments do you expect to see going forward? Mr. Stoeferle: Like many others, I didn’t really expect Brexit to happen. But the market movements thereafter didn’t surprise me at all. Brexit increased uncertainty in a world that is already on the edge of chaos, and in this context, it was not surprising that the British Pound would suffer and gold would gain momentum. Regarding future developments, there are too many uncertainties in order to make a profound forecast. Who is going to negotiate the exit? What kind of agreement will they reach – will they agree on a “light Brexit” that would hardly change the economic conditions for the UK and the EU? Or will the European leaders punish Britain? How will the EU react? Will they use Brexit as a peg for further integration, centralization and bureaucratization or will they see it as a wake-up call to shift power from Brussels back to the national parliaments? If the UK is better off with Brexit, will this lead to referendums in other member states? There are too many questions still open to estimate the long-term results. Generally, an increase in uncertainty supports the gold price. 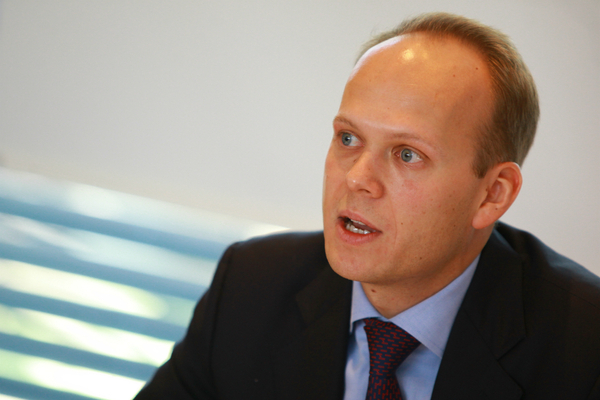 Claudio Grass: As you know, I believe today’s markets are mainly driven by geopolitics and central bank decisions. Based on what we discussed, is gold back in business? And as a portfolio manager, how would you approach gold in the context of portfolio diversification? 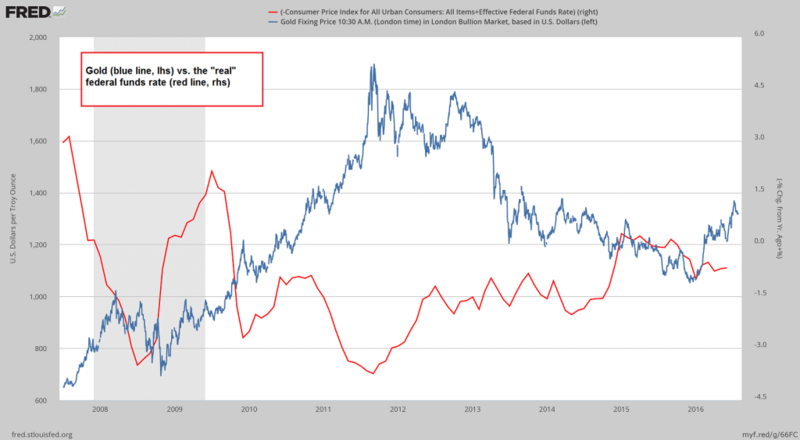 Gold vs. the “real” federal funds rate (to calculate it, we have simply deducted the annualized rate of change of CPI from the effective FF rate). This inverse correlation is not always as neat and clear-cut as it has been recent years – it often involves large leads and/ or lags. Still, it is certainly noteworthy that the real FF rate has turned negative again shortly before gold recently bottomed – click to enlarge. Mr. Stoeferle: As an Austrian economist, I don’t regard exact forecasts as seriously as the price developments that result from decisions and actions by individuals as well as politicians. However, I do believe in a huge upward potential for gold, at least in the mid-term. After years of falling price inflation rates, of a strong U.S. Dollar and market participants that lulled themselves into a false sense of security, the inflation trend has reversed and the first doubts about the narrative of the economic recovery have arisen. In our “Gold in Trust 2016” report, my partner Mark Valek and I set our price target of USD 2,300 per ounce in June 2018. In the context of a portfolio, gold has many desirable features. As it has very low or even negative correlation rates with other assets, it can make a portfolio more stable and balanced. In times of crisis and market upheaval, a more aggressive positioning in gold, gold derivatives, or mining stocks can generate high profits. Claudio Grass: Thank you very much for sharing your thoughts with us, Ronald. Claudio Grass is a passionate advocate of free-market thinking and libertarian philosophy. Following the teachings of the Austrian School of Economics he is convinced that sound money and human freedom are inextricably linked to each other. He is one of the founders of GoldAndLiberty.com.